The classic car and classic truck mechanics at Wilson Auto Repair are expert at upgrading and repairing steering system components. 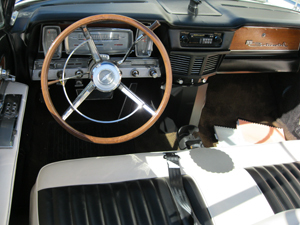 We eliminate excessive play or movement in your classic vehicle. At Wilson Auto Repair, we are thorough in our examination and repair of steering problems. 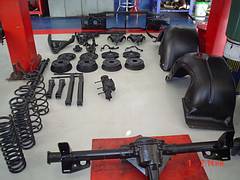 We make sure the chassis is properly lubed, tires are properly inflated and the front end is aligned. These are common causes of steering problems in classic vehicles. The steering box is inspected and work is done as needed. 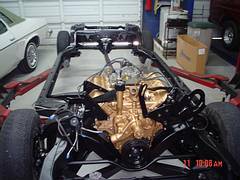 If you want to get rid of the excessive movement in your classic vehicle, call the classic car repair team at Wilson Auto Repair. We've been helping people just like you since 1986. And although we're located in Garland, Texas, people bring their classics to us from all over the country. Call us for more information at (972) 271-3579 or send us an email. We know what we are doing. Our classic car mechanics are A.S.E. certified and specialize in classic cars and trucks. We work on the classics full-time since 1986, bring you a level of expertise you won't find elsewhere. We are affordable. Our fair approach pricing means you get the best for your money for classic car steering repair from Wilson Auto Repair. We provide exceptional service. We are trustworthy and keep our promises. We're grateful for your business and trust. You'll love working with our customer-friendly team. Find out for yourself. Get your questions answered and get a price estimate from Wilson Auto Repair. Call us at (972) 271-357 today. Click on any of the images below to get more details about our repair services.